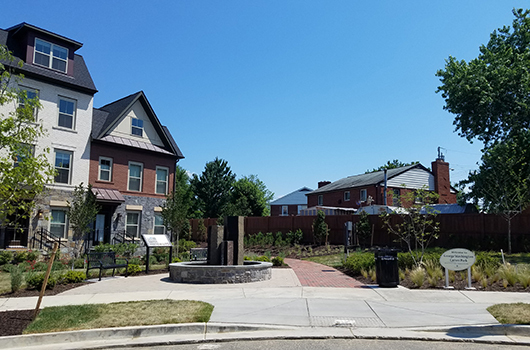 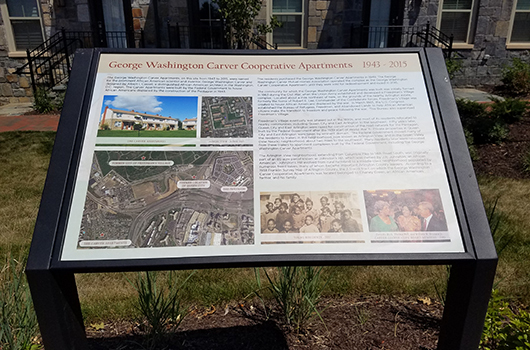 George Washington Carver Park is a .14-acre park that provides a relaxing setting at the former George Washington Carver Cooperative Apartments site. 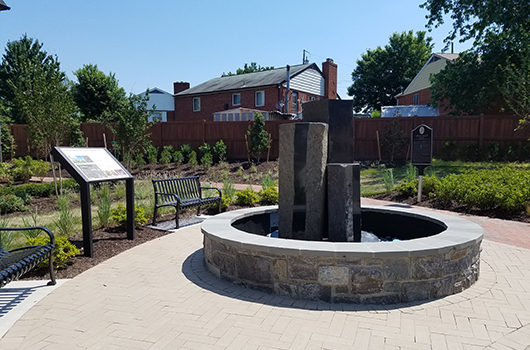 The space features a decorative fountain, benches, landscaping and a small grassy area. 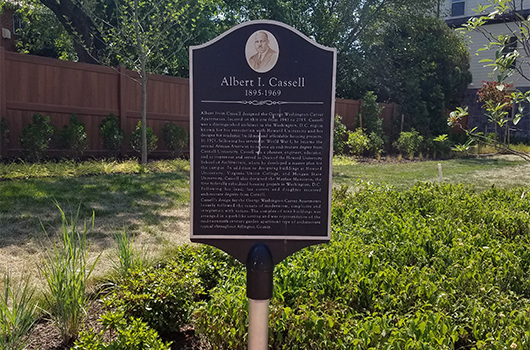 Historical markers describe the history of the Cooperative Apartments as well as designer Albert I. Cassell.